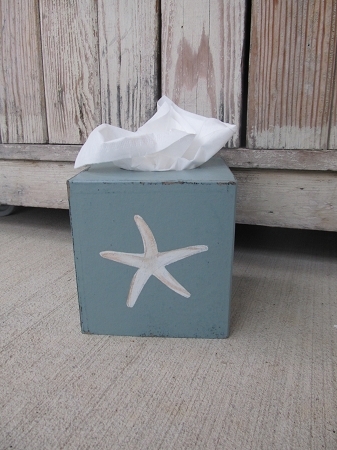 Nautical Beach Coastal Star Fish Hand Painted Tissue Box Cover. 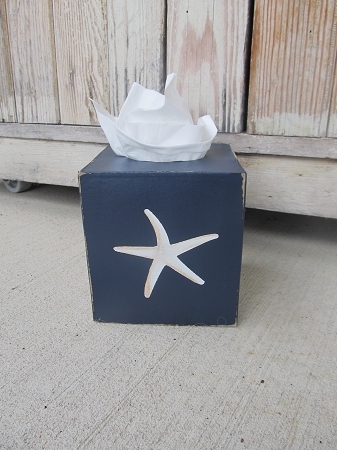 Love this beautiful and simple tissue box design, perfect for your beach nautical bathroom. 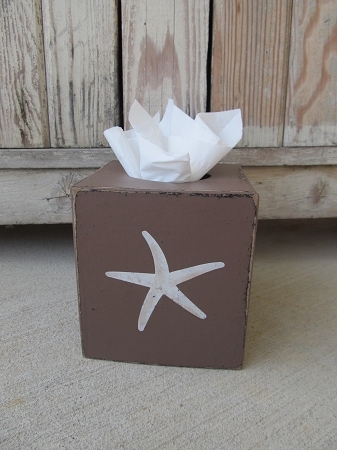 I've painted the entire tissue box this Mississippi Mud (sand) color. Painted on a white star fish and distressed the entire piece for a rustic beach look. Size is 5"x5"x5" and covers a boutique style tissue box. Hand painted, designed and signed by Heidi.